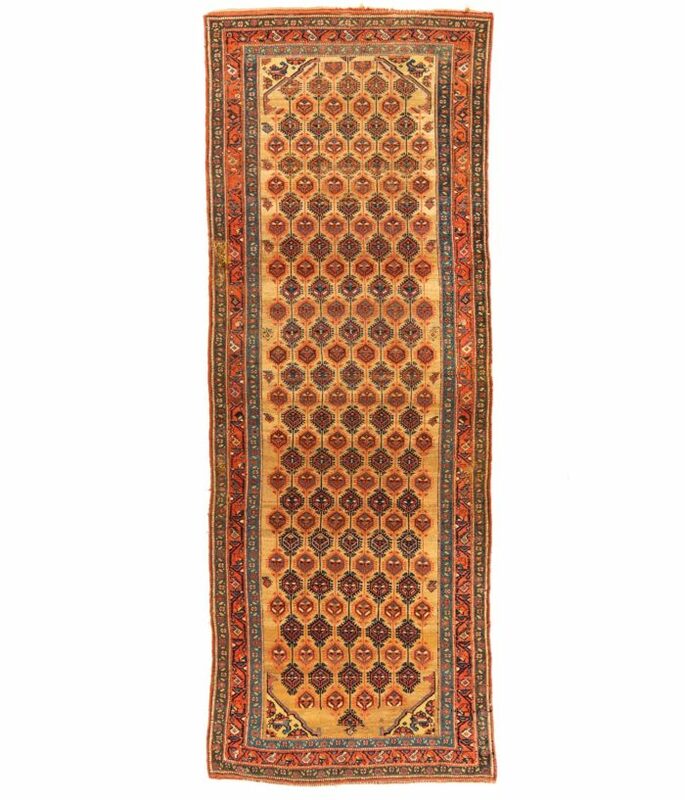 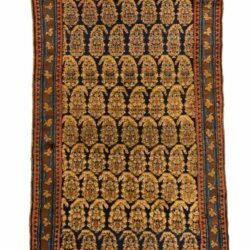 Runner Rugs / Antique Persian Serab Runner 3'7"×9'11"
This is an antique Serab runner, woven in Persia around the end of the 19th century. 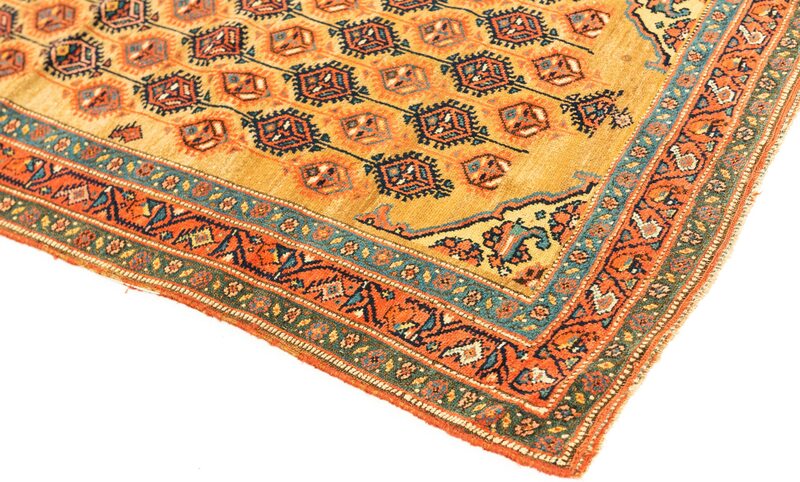 Serab carpets are known for the extensive use of wool yarns derived from the coats of camels. 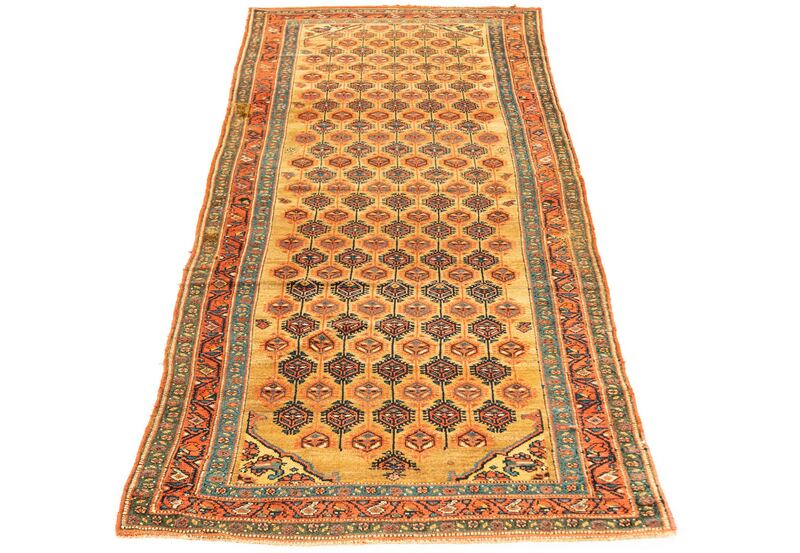 The unique, earthen tan color of the un-dyed yarn is a hallmark of this class of carpet, which were made almost exclusively as runners. 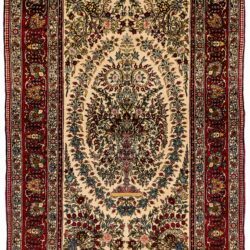 This piece has an allover design of geometric figures in a camel-hair field. The border consists of a boteh design in a red field flanked on either side by guard borders in navy.